high-visibility TFT color screen, as well as its robust functionality and intuitive, compact design. With standard features that include a rechargeable battery, 3-axis full-tilt compass, easy three-button navigation, multiple gas capability and 4 operating modes, managing your dive has never been easier. 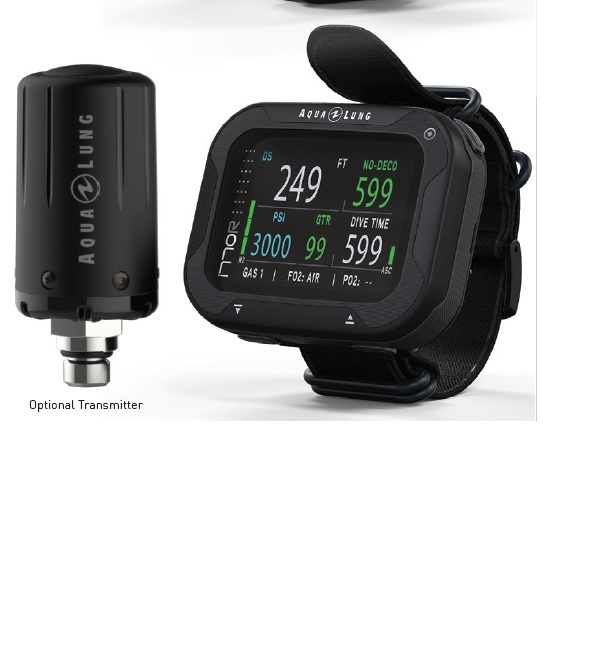 And, with options for hoseless gas integration via a paired-for-life transmitter and the Diver-Log+ app, you can integrate technology and connectivity to all your dive adventures. o Easy-to-use interface. Monitor all your key information with the intuitive menu structure. dive screen with the touch of a button.